I personally chose Brown Sugar, but I am not 100% sure this is the exact match for me, and I think I maybe would have suited Brunette Betty or Neutral Nana. Okay, so on to the products themselves and I am starting with the Urban Decay Double Down Brow Powder (£20.00). This slimline compact features a mirror on the inside of the lid, two brow powders in complimenting colours, and a double-ended brush featuring a slanted brush on one end and a spoolie on the other. One of the pans houses a putty which is great for shaping the brows and then the other side is a powder which intensifies your look and ensures your brows stay in place for up to 16 hours. I found this duo to be really blendable and easy to use, as the brush leads the way and due to the slanted tip, it is really simple to create a brow look. I love that both the shades go together well, but are slightly different so that you can customise the colour and depth to what suits you best and the compact is perfect for on the go. The product which makes the most amount of difference to my brows is the Urban Decay Brow Endowed Brow Volumizer (£18.00). If you are new here, let me give you a quick rundown on my brows, basically they are non-existent. I have always had very thin brows, and the hairs are very fine and quite fair. No amount of growing them helps. Brow Endowed is a double-ended product, which features a primer on one end and a colour on the other. 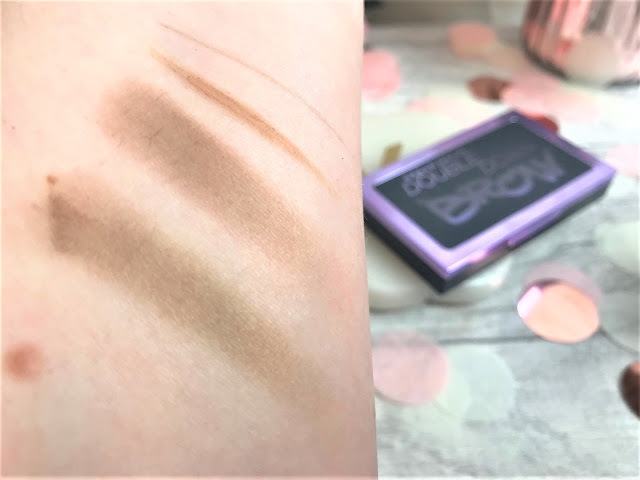 Both ends have a spoolie, which is one of the thinnest spoolies I have ever seen, but this is superb for my brows as it picks up every single little hair, and when it comes to my brows, every little really does help! The primer coats the lashes and adds volume to them, and the colour side adds colour and keeps the brows set in place. Urban Decay declare the formula to be sweat and smudge proof for up to 24 hours, and I can say that it lasted me all day, but I don't ever leave my makeup on for 24 hours, as I just don't have that much of a rock & roll lifestyle I'm afraid. Finally, I have the Urban Decay Brow Blade (£18.00), which is another double-ended product, this time including an ink stain on one side and a waterproof pencil on the other. 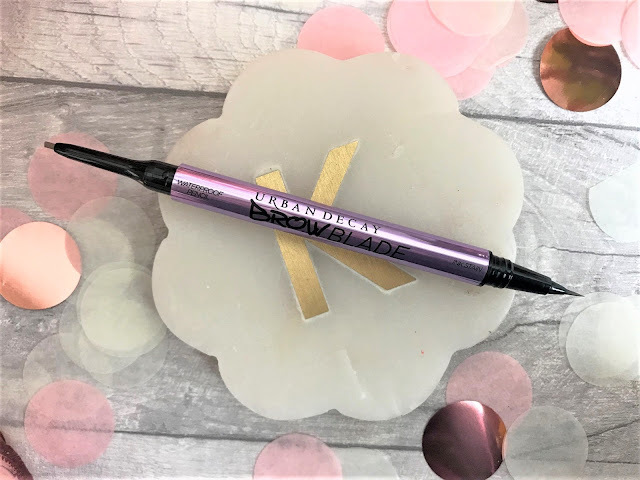 I must admit when I saw the ink stain side I was a little bit apprehensive as I could imagine liquid eyeliner type strokes, but this is so delicate yet precise that you can create the most natural brow strokes possible. The ink isn't too pigmented, which is a good thing in this case as it allows that natural look of a brow hair. 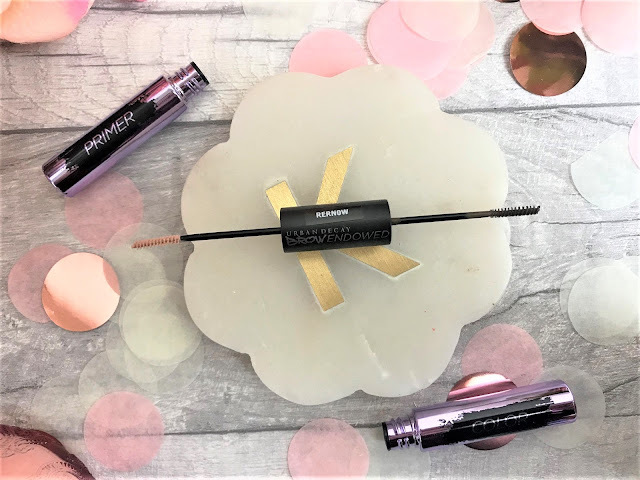 The pencil side of the brow is also very fine, but not as fine as the ink side, and therefore allows to create a lovely, defined brow shape, and thicken up any sparse patches along the brows. The formula is creamy and goes on to the skin effortlessly and I personally found that my brows stayed in place again all day. 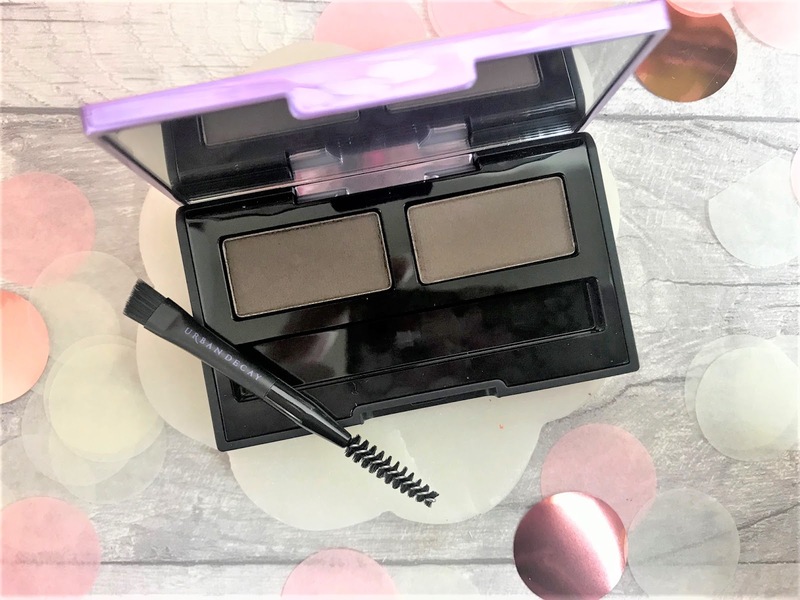 Each of these products can be used on their own, or if you have horrifically thin, non-existent brows like myself, you can mix and match and create some fabulous looking brows. 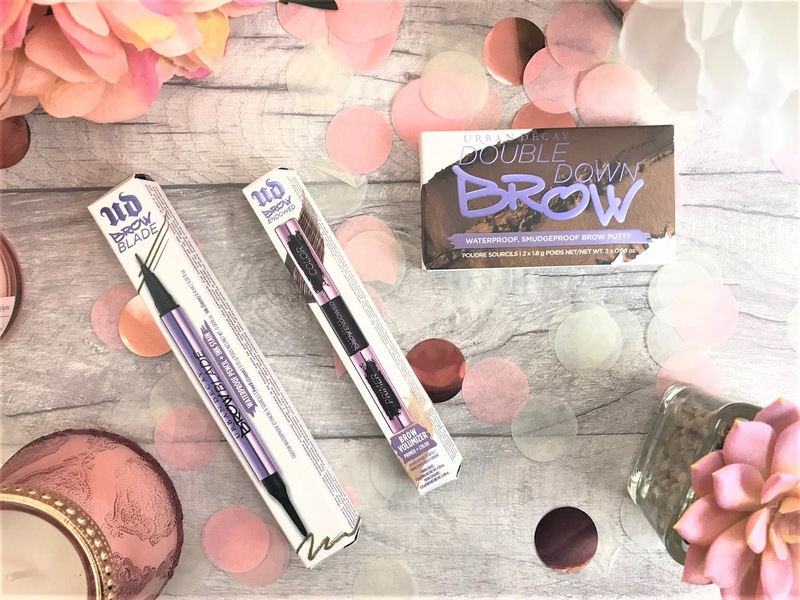 You can find the Urban Decay Street Style Brow products online at Urban Decay here.